Looking over Wearhead Bridge only the River Wear and lots of riverside trees can be seen. 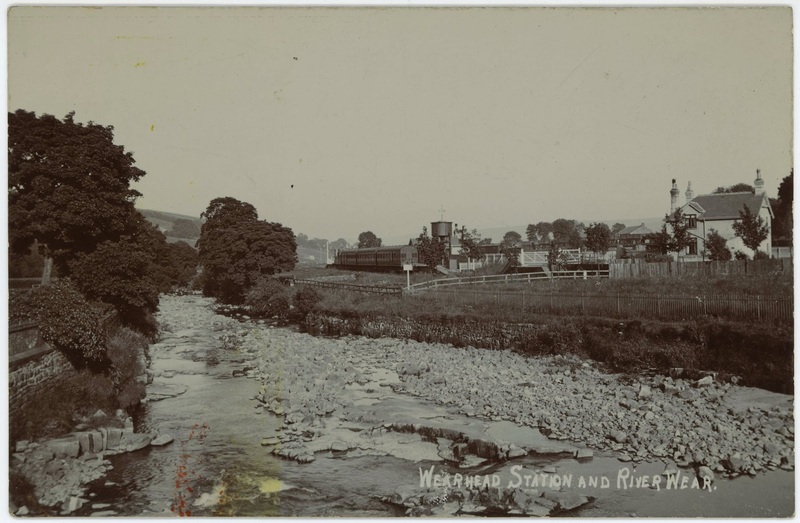 In the first half of the last century the Wearhead Railway Station would have be seen there, it opened in 21 November 1895 and was closed to passengers on 26th June 1953, then closed completely 2nd January 1961. Wearhead was terminus of the Weardale Railway.